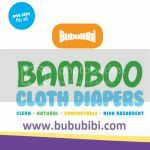 BubuBibi - www.bububibi.com - Bamboo Cloth Diapers: Hair loss after having the baby? I have that issue too but I think it's better now. Hair loss after having the baby? I have that issue too but I think it's better now. I am sure a lot of moms have that issue too. HAIR LOSS!!! I still remember, when I was younger, I use to dislike my hair, I use to think it's to "bushy" and every time, I've got to tell the hair dresser to somehow reduce some hair. After having babies, I am so thankful that when I was younger, I had the bushy hair because I've lost so much hair and if I started off with very little hair, I would be bald. I notice that I usually lose a lot more hair a few months after having my boys. Though, I do notice that the hair dropping issue is less too. I guess part of the reason is because I guess the hormones are all normal now but I have talked to several people and hair dresses for their advises. 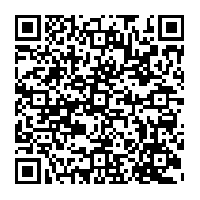 Here are some tips, hopefully it will help some moms out there who are going crazy with the newborn, sleep patterns, etc. 1) Use baby shampoo - I have switched from all other brands to my son's baby shampoo. I read a lot and some people also mention that the baby shampoo have less chemicals in them, no scent, etc and since it is so mild, it is gentle on the hair. Try using them for a long period of time instead of the normal adult's shampoo. OR, the other option is to use the horse shampoo - Mane N Tail is one of them that I have tried as well and I think they are pretty good. 2) Conditioner - Only apply the conditioner starting the half length of the hair. Do not start from the top/ roots. According to one of the hair dresser that I talked to, she told me that a lot of times, the conditioner clogs the roots of the hair causing the hair to not grow. 3) Drying your hair - I always blow dry my hair and thought that the hotter the heat is, the faster and better it is and again, this is another thing that I was told not to do. According to them, the heat would cause the old to develop and then clog the roots of the hair again. So, what I do now is I use low heat or just air to blow the top of my hair and switch it to hot again to blow the rest of the hair. 4) Gentle combing - Try not to brush your hair too hard, it will break the hair and try to brush it to the minimal. I hope the advise would help some of the new moms out there who are freaking out wondering what's going on and will their hair ever grow back?